Traditional men's kufi made from rigid cotton fabric. 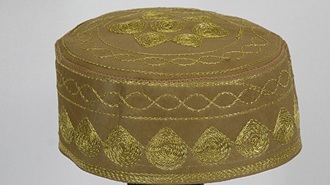 A stitched pattern decorates the sides of this kufi style. Imported. 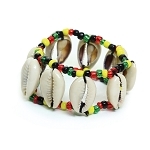 Available in your choice of Gold, Copper, or White. Embroidery pattern may vary slightly.